Rumours of a romance have been circulating for months but finally it appears Paris Jackson and Cara Delevingne are going public with their relationship. 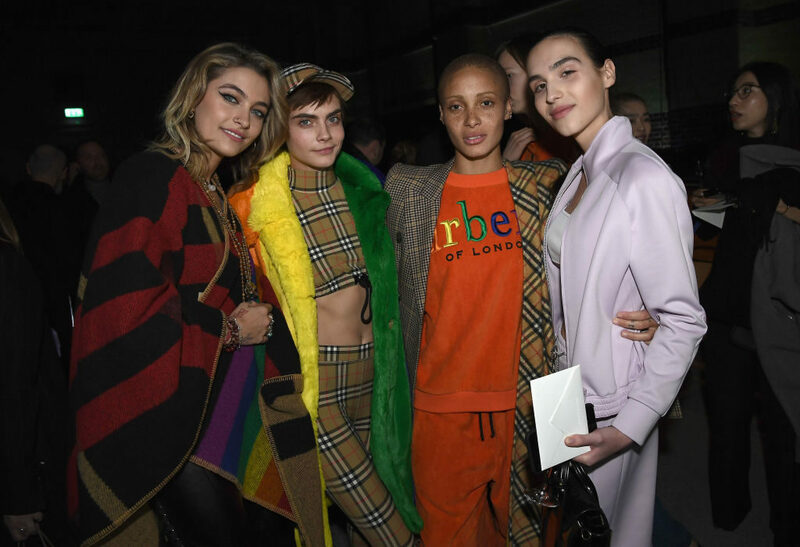 19-year-old activist, model and actress Paris, who’s the second child and only daughter of the late Michael Jackson, was seen enjoying a date with model and actress Cara, 25, last night (March 23). Spending a night out in West Hollywood, the pair were joined by Paris’s godfather and actor Macaulay Culkin who brought his girlfriend Brenda Song along for the double date. After visiting the upmarket Argentinean steakhouse Carlito’s, Cara was photographed asking Paris to dance before spinning her round ending the night with a kiss. The night comes after the pair fuelled relationship rumours last Monday (March 19) sharing photos and videos from their evening in watching the film Carol. Paris even called Cara ‘my favourite’ on her Snapchat story. The couple were first spotted holding hands outside a Dalston nightclub in London last November. They really hit it off at the MTV Movie and TV Awards in LA in May and have been hanging out since. Cara is quite enamoured by the fact Paris is the daughter of one of her musical heroes. She invited her as guest of honour to her Christmas Burberry X bash in London, before whisking her away to Venice then Prague the weekend after, where they celebrated Christmas early at the markets. They’re both really into their music and have been spending nights singing and jamming on the guitar. It’s early days, and Cara doesn’t really have time for a proper relationship due to her non-stop filming commitments with Carnival Row, but there’s no denying there’s a spark. Paris recently made her big screen acting debut in action comedy film Gringo. In the caper, Paris plays a young woman called Nelly, who’s trying to help smuggle drugs back into the United States from Mexico. During the promotional tour for the film, Paris took to Twitter asking people to stop editing her skin colour in pictures of her. I appreciate everything y’all make for me, I enjoy every single edit I see, but please stop lightening my skin to make me look more white and please stop darkening my skin to make me look more mixed. I am what I am. I’m aware of what I look like and I finally happy with it. Paris isn’t the only celebrity to be affected, as many others including Rihanna and Beyonce have been targeted by the offensive and needless editing. And it only takes one quick search through Twitter to find an example of what she’s talking about. This image has clearly been edited in an attempt to make Paris’ skin appear lighter, although some fans claim it may have been an accidental side effect of the picture being brightened.